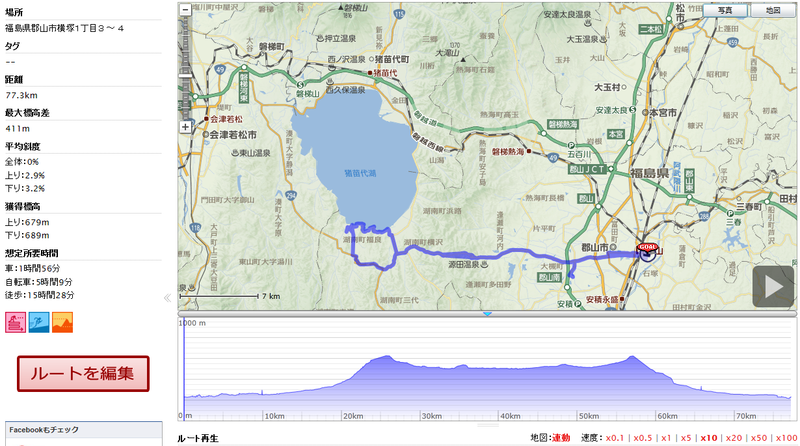 Konan district which is the far east part of Koriyama City is on the edge of Lake Inawashiro. 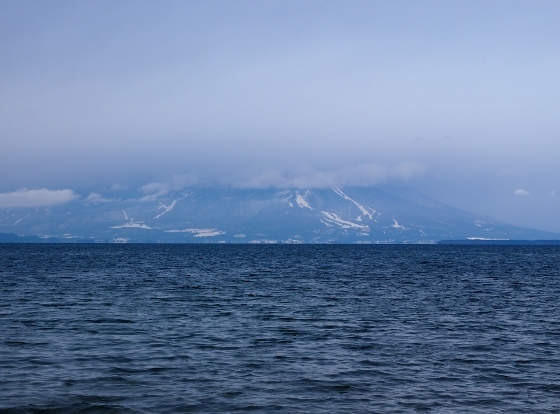 You can see a view of the Lake with Mt. Bandaisan in the back from Seishouhama Beach or Funatsu area. Today I went there with my bike. 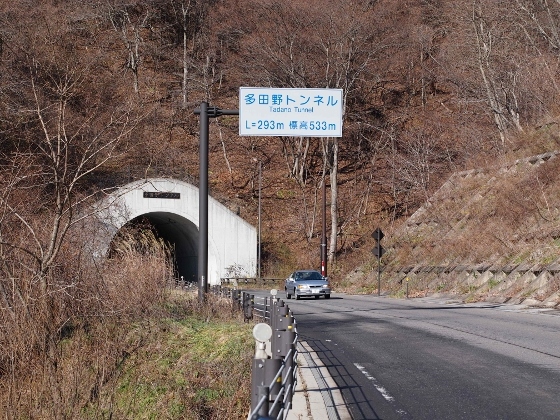 The main route was local Route 6 from the center of Koriyama City with Tadano Tunnel (293m) and Sanmori Tunnel (1365m) on the way. 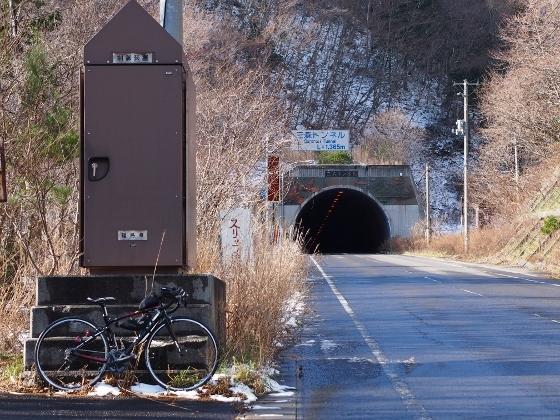 The tunnels were safe for bike with clear site and no icy road. 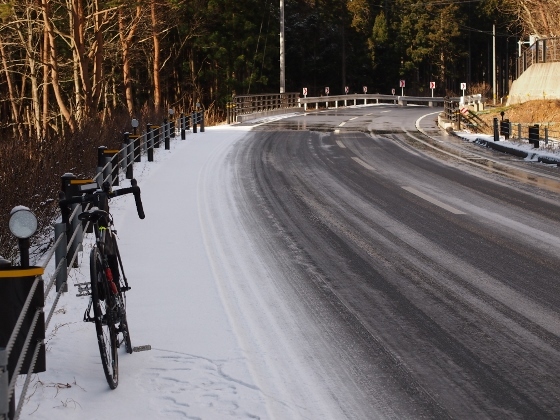 In the morning there were still icy spots left. Arriving at Funatsu area on the shore of Lake Inawashiro I only could see ski slope area on the hillside of Mt. Bandaisan due to cloudy weather. 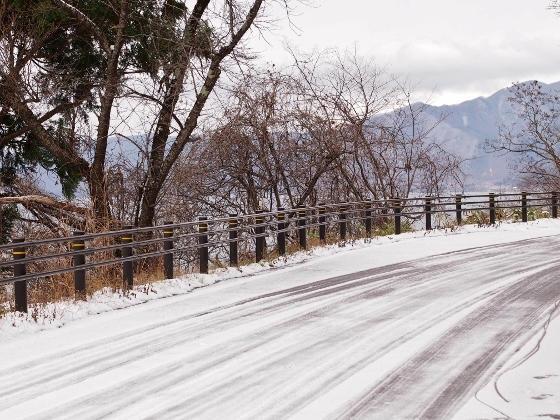 From Fnatsu to Seishouhama I took a road along the lakeside and it was freezing in some parts as shown in the picture above. I walked with my bike in those parts. 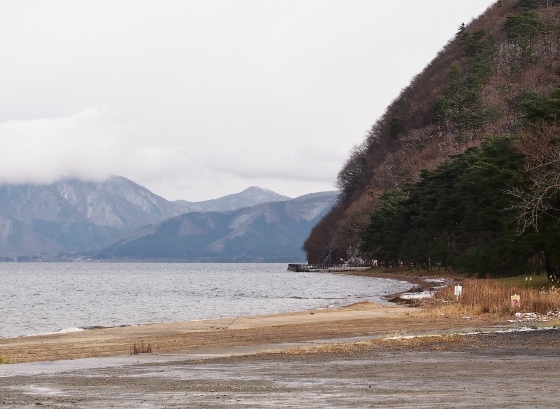 Seishouhama had beautiful pine trees on the shore as shown in the right part of the picture above. This place was famous for swan arriving in winter. However, today I could find none. 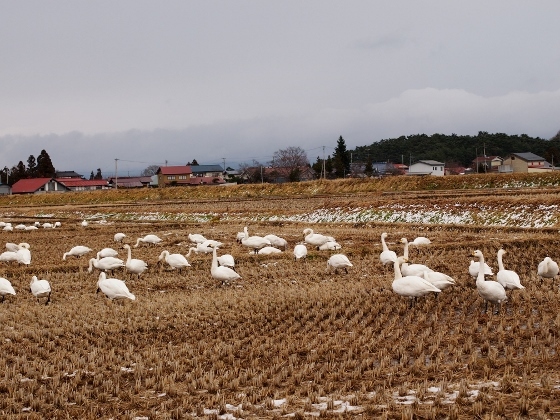 I asked the local man and he told me that he saw many swans in the rice field today. 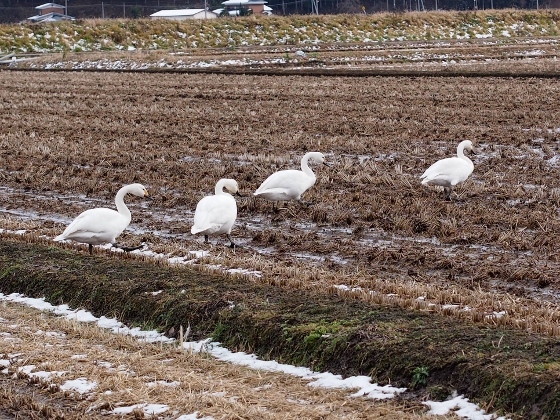 I went to nearby field and found many swans here and there as shown in the pictures below. 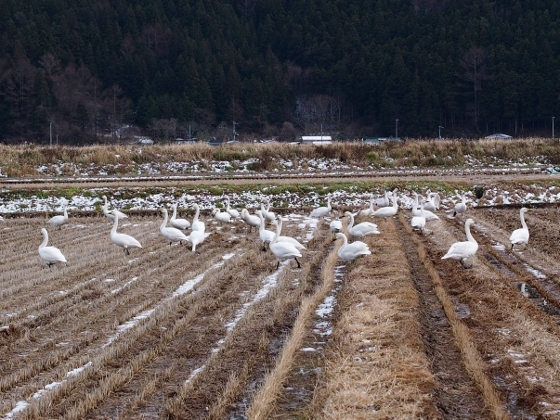 Swans in the field at Seishouhama. 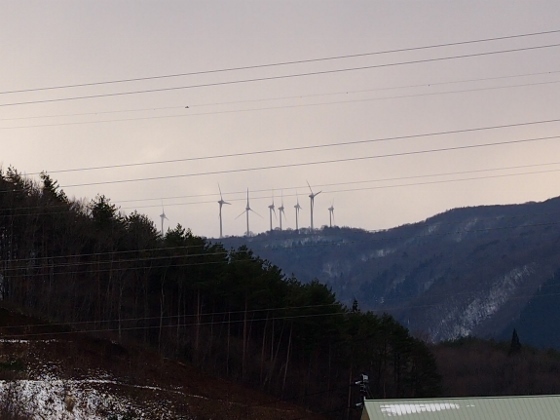 At last, a view of wind power generators at Nunohiki Height was shown above. 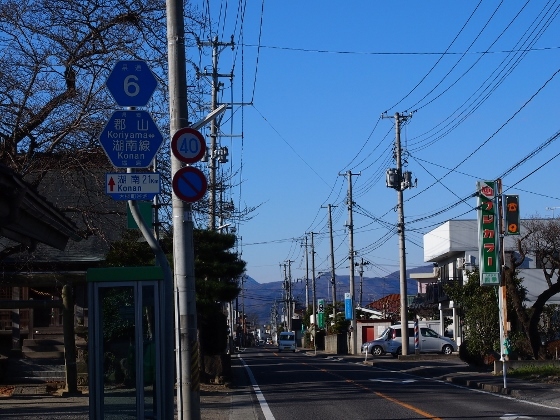 The Height was also a part of Koriyama City but had been closed during winter season.